Mykon B-Clear aluminium honeycomb panels provide a uniquely versatile alternative to architectural sandwich panels. 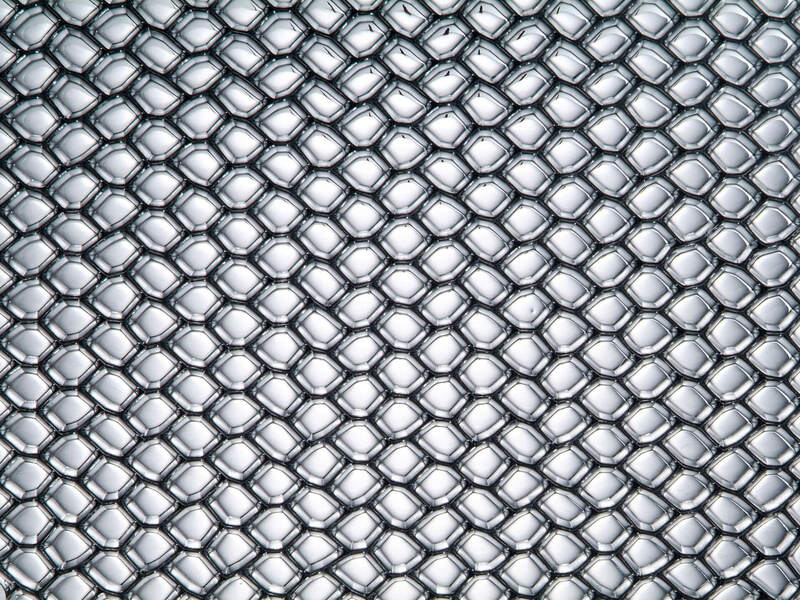 The stunning ‘‘fish-eye’’ effect of B-Clear is achieved by bonding our hexagonal aluminium honeycomb core between glass, acrylic or polycarbonate skins. This visually appealing effect, achieved through a unique bonding process, results in a handmade design which guarantees exceptional high quality. The B-Clear panel range has a 78% light transmittance value, achieved through the aluminium ‘‘fish-eye’’ centre capturing and diffusing light, to create a welcoming and relaxed environment. Each individual cell allows light to pass through, but together the cells remain translucent to ensure privacy when it is required. 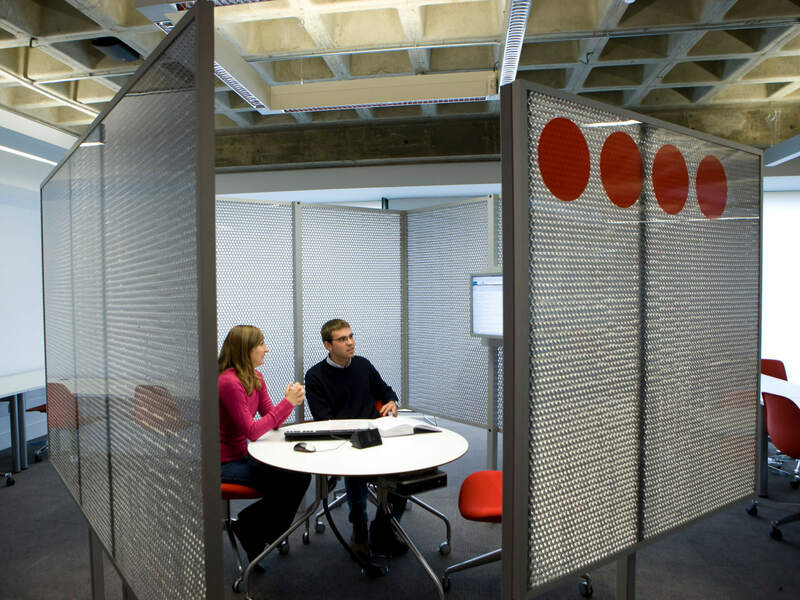 Our high-quality polycarbonate or acrylic skinned panels are perfect for non-structural applications including interior walls, partitions and screens, transforming the appearance of living and working spaces. 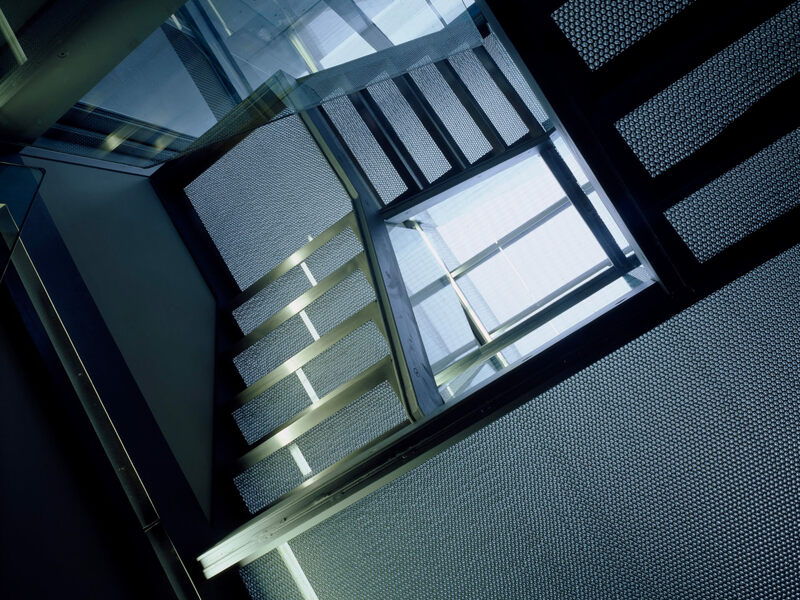 By substituting polycarbonate or acrylic with toughened glass, our skilled technical team have created a B-Clear panel superior in strength, suitable for use in structural applications including spanning walkways, bridges, mezzanines, landings and staircases. These durable panels are scratch resistant, easy to clean and highly resilient to deflection. B-Clear is a lightweight but incredibly strong composite panel. B-Clear panels are fabricated in sizes up to 2500mm x 1250mm. Our standard panel thickness for non-structural applications is 19mm or 27mm. Standard structural panel thickness is 40mm overall with 6mm glass (complete with structural & fire test certificates) although we are capable of creating bespoke panels with a depth of 15mm to 100mm. Occasionally production will recommend 50mm overall with 8mm glass for floors without certification. Exposed panel edges can be finished with a selection of standard edging material including clear or coloured edge strips or encapsulated in aluminium edge profiles. Our technical team are also able to calculate individual panel load deflections to suit any project requirements.